Low Cost Low cost PVC pumps are ideal for projects with low budgets. Several PVC pumps can be purchased for less than a portable stainless steel pump. 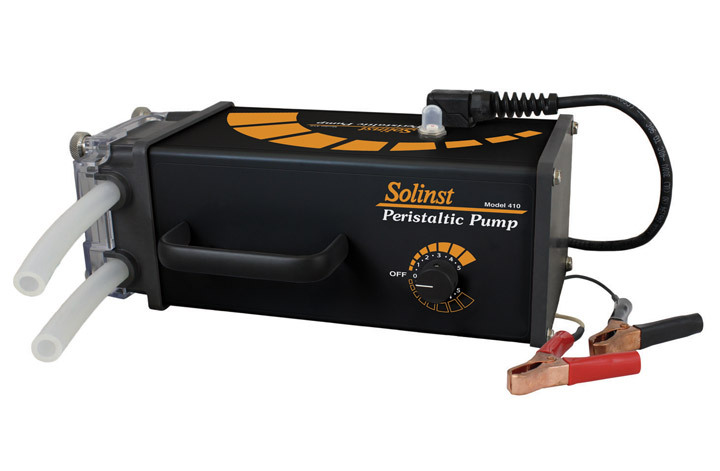 The Solinst Double Valve Pump (DVP) is a pneumatic-drive pump that is ideal for providing high-quality samples or as a pump for a low-flow sampling equipment setup. Field tested in thousands of different applications, the DVP is extremely reliable, never requiring bladder replacement. It generates pumping rates higher than the SolinstIntegra Bladder, is available in a variety of sizes and materials. Suitable for both low flow sampling the Double Valve Pump makes sampling easy. The stainless-steel pumps are capable of operating at depths up to 500 ft (150 m), and the PVC models can operate at depths up to 100 ft (30 m). Standard dedicated systems use 1/4” (6mm) sample and 3/8” (10 mm) drive LDPE tubing. 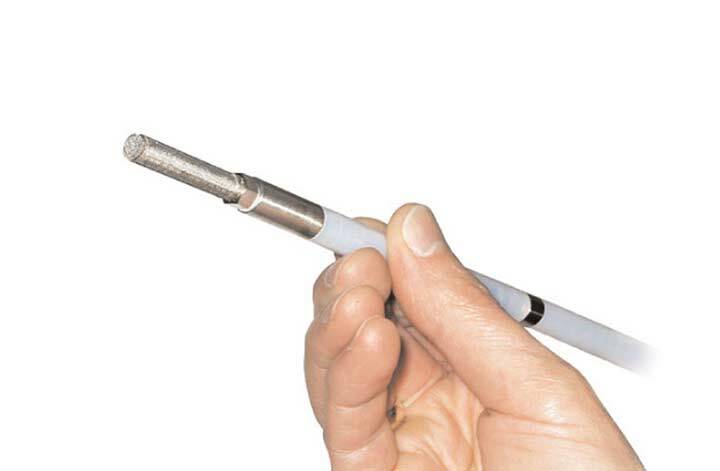 Portable systems use dual 1/4 (6mm) skip-bonded LDPE lined with PTFE/FEP. Adaptors for both 1/4” and 3/8” (6 mm and 10 mm) tubing are included. The Micro Double Valve Pump is flexible, 3/8” (10 mm) diameter, PTFE/FEP Pump. 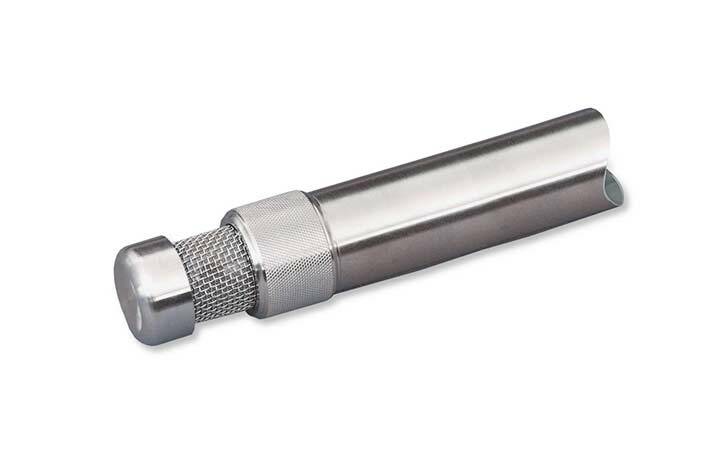 It is ideal for low flow sampling in narrow applications. vehicle battery. Ideal for field use, especially low flow applications of less than 100 ft (30 m) depth. the volume of water purged. In-Line Disposable Filters 0.45 µm, with 700 cm2 filter area. Tag Line Convenient reel-mounted marked cable, for depth discrete pump support. The 407 bladder pump from Solinst is a reliable , high performance bladder pump for high quality groundwater sampling. The bladder pump prevents all drive air and gas from coming into contact with the sample, ensuring that degassing and contamination are never an issue. 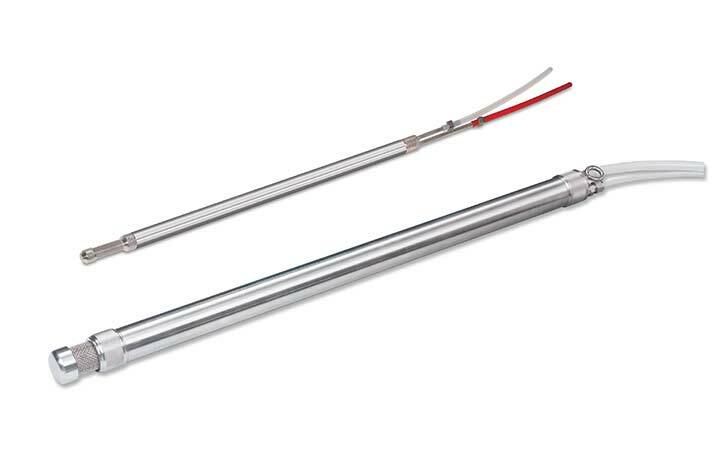 The Micro Double Valve Pump is a pneumatic pump that is ideal for use in narrow diameter boreholes when doing low flow sampling. 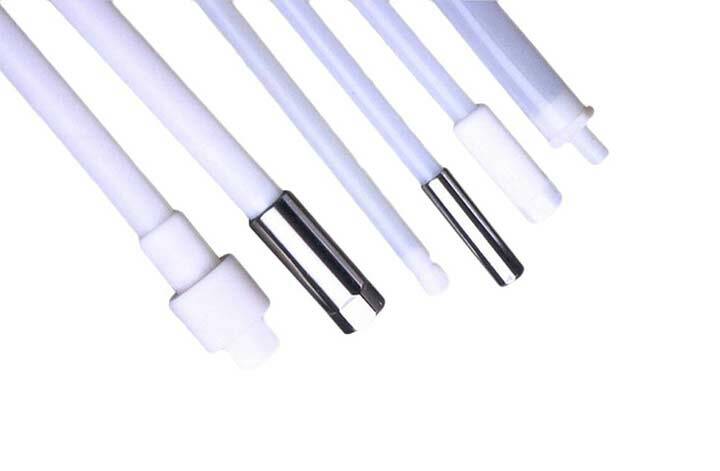 Rather than using a bladder, it uses coaxial PTFE/FEP tubing. Ideal for CMT or wells with diameters less than 10mm. Solinst 464 pump control unit is ideal for controlling bladder pumps and double valve pumps. 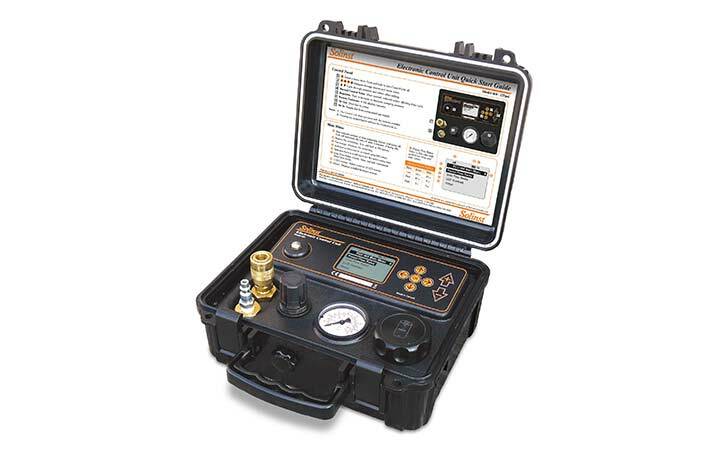 The 464 is very effective for VOC and low-flow groundwater sampling. The 404 Inertial Pump is a cost effective option for groundwater monitoring. It's simple and reliable inertial pump design consists of a riser tube fitted to a one-way foot valve.